If you’re going out to enjoy the St. Patrick’s Day celebration this weekend don’t leave your safety up to “luck”. We encourage you to have a plan in place for a safe way home before the festivities begin. Whether you plan to spend a little “green” on an Uber or Lyft, designate a driver, or take a taxi, please don’t drink and drive. Additionally, if you injure someone else as a result of a DUI you could face civil consequences, which means you can kiss your pot of gold goodbye! 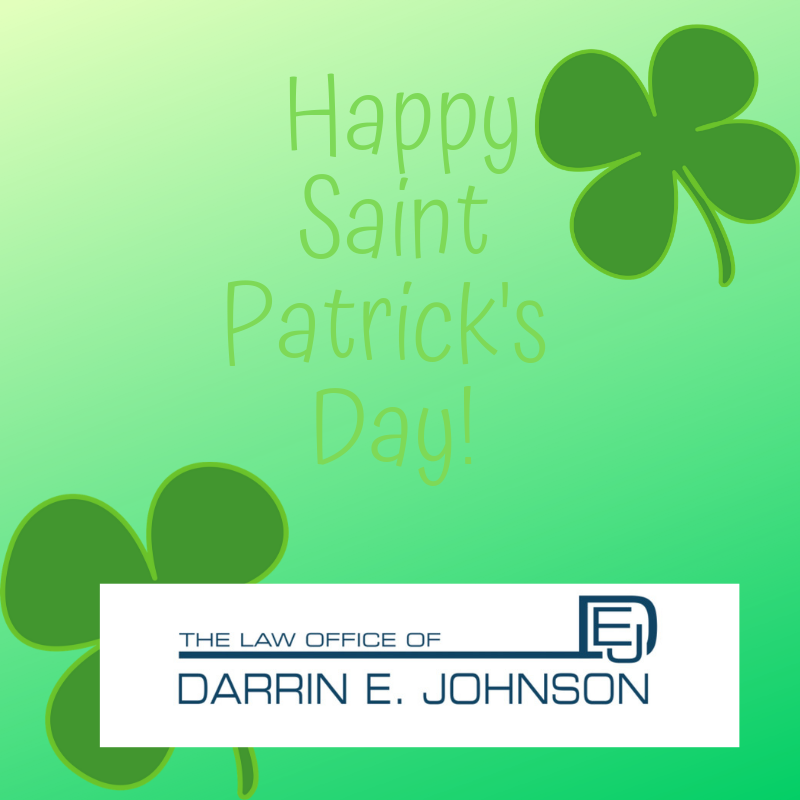 In the event you, a friend, or family member run out of “luck” and are charged with a DUI this St. Patrick’s Day, contact The Law Office of Darrin E. Johnson, PLLC as soon as possible. We are always here to protect your life, liberty, and livelihood!